Planner based in Bristol since May 2017. Julie completed her Masters in Town and Country Planning at the University of the West of England in 2010. 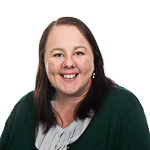 Previously employed as a Planner at Bath and North East Somerset Council Julie was lead on the Rural Volume of the Placemaking Plan and additional responsibilities included supporting 15 neighbourhood planning groups, six of which now have ‘made’ plans. Julie received national and local recognition for her neighbourhood planning support, she won a Locality Hero Award in 2015 and was a Neighbourhood Planning Champion from 2014-2017. Additional experience has been gained through working as an assistant planner in Swindon Borough Council, working on various policy documents.